Petit appart adapté pour les groupes de 3 personnes, ça devient plus compliqué à 4 ou 5! Mais à part ça, tout est très bien! La localisation proche d'une des plus grandes gares de tokyo! de nombreuses épiceries et restaurant! prix très attractifs! We had a very fine stay at Marissa's condo. Four nights of deep sleep. 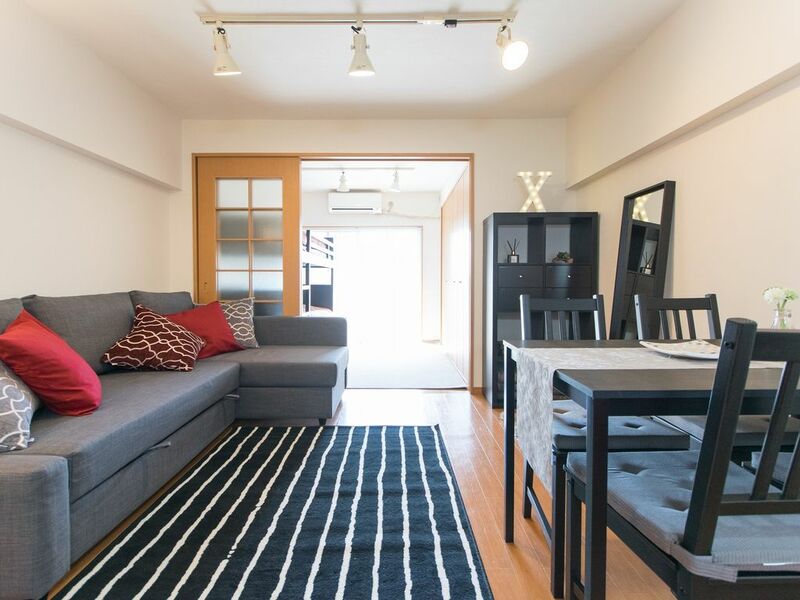 The accommodations are well organized and the room was easy to access, you just need to plan your exit from Shibuya carefully given the construction that is going on. We found a good alternate entrance at the South Gate. The thing that impressed me the most was the pulsating shower pressure, I'm not used to finding that outside of North America. And Marissa was kind enough to give us a little extra time to check out so that we could organize our luggage and our trip home. We stayed here during winter months and it took a while for the apartment to warm up with the air conditioning heaters. We stayed 4 days and had them on the whole time and it only got to an ok temperature after a few days. The air also then becomes very dry with the heating required, a humidifier would have been great. It was extremely cold in the bathroom. Toilet room very small. Other than that we found the apartment very nice, well equipped, clean and comfortable. Marissa was very helpful and accommodating with additional requests I had. Her place is exactly as described. Had a great experience and highly recommend it.